Drink plenty of water in the hours prior to your specimen collection. 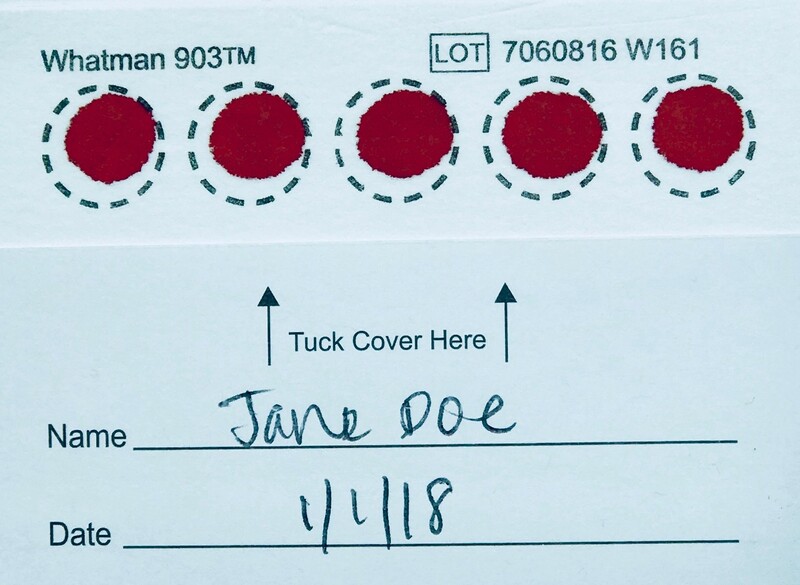 Proper hydration helps facilitate blood flow while collecting. The best site for a finger puncture is just off the center of the finger pad. The tip of the finger should be avoided. Make sure hands (fingers) are warm. Run under warm water for 30 seconds if necessary to increase circulation. Make sure to place your finger on a firm surface, like a countertop or kitchen counter, to ensure that you get the proper depth when activating the safety lancet. 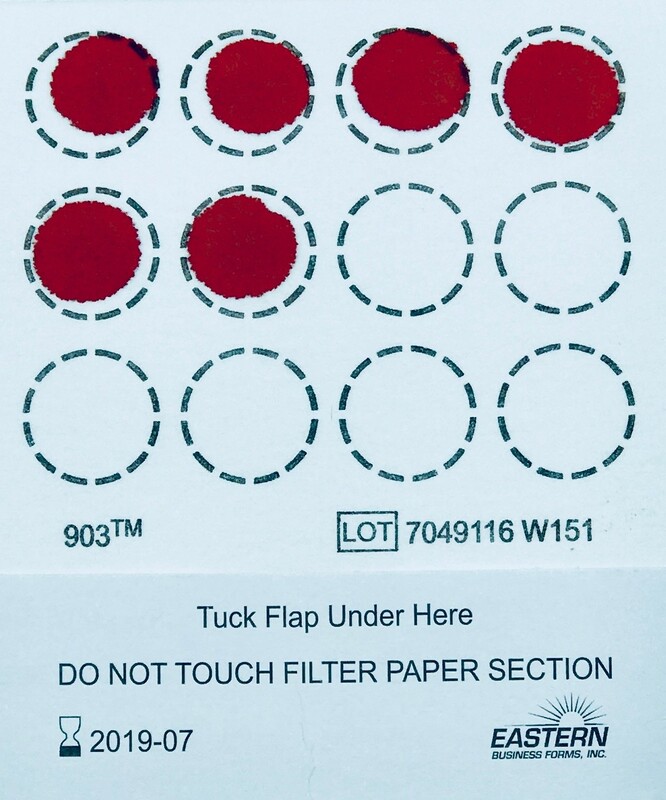 After lancing collection area, squeeze your finger in a milking motion, moving from the base of your finger toward your fingertip to draw blood towards puncture site. 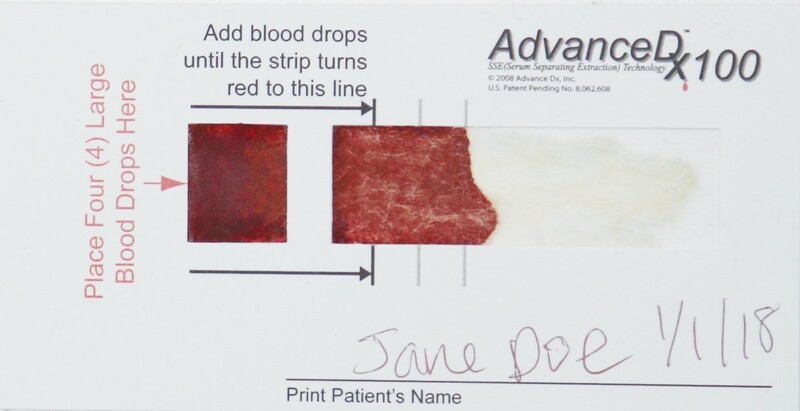 If you suspect that your blood sample was collected incorrectly, we’re always happy to review a photo of your sample card before you send it back to ensure that it will be sufficient for processing and to avoid rejection by the lab. Please send us an email with a photo of your sample card to [email protected] We welcome all collection-related inquiries.